“As a design concept goes, this all makes perfect sense,” said Mr Patraiko. “Many mariners are keen to offer feedback into the design process but struggle to identify how to.” Mr Doherty confirmed that CIRM members are willing to listen and of course will need to demonstrate this as outlined in the IMO e-Navigation HCD Guidelines. These issues were also confirmed during a recent EU funded Human Factors project CyClaDes (www.cyclades-project.eu). Mariners gain by being able to preview, understand and influence new designs. Mr Patraiko said that mariners often challenge why, or even how, certain design features have been developed. The Forum provides an opportunity for them to get involved with the design before it ends up on their ships. “This is a golden opportunity for all mariners and trainers to improve the design of systems they may have to use in the future, while enjoying the process of working with the design teams,” said Mr Patraiko. 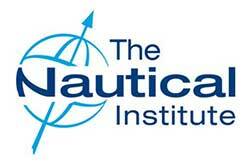 The Nautical Institute also plans to publish case studies from these trials, which will spread the benefits to the whole industry.